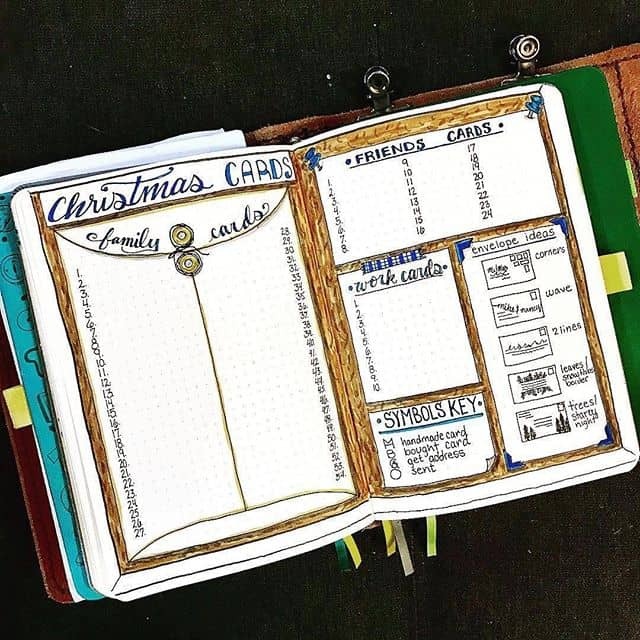 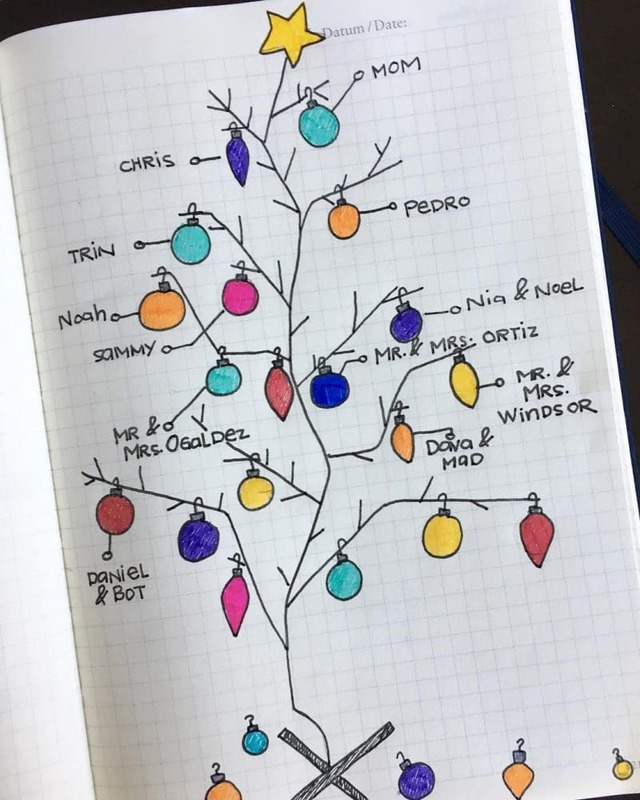 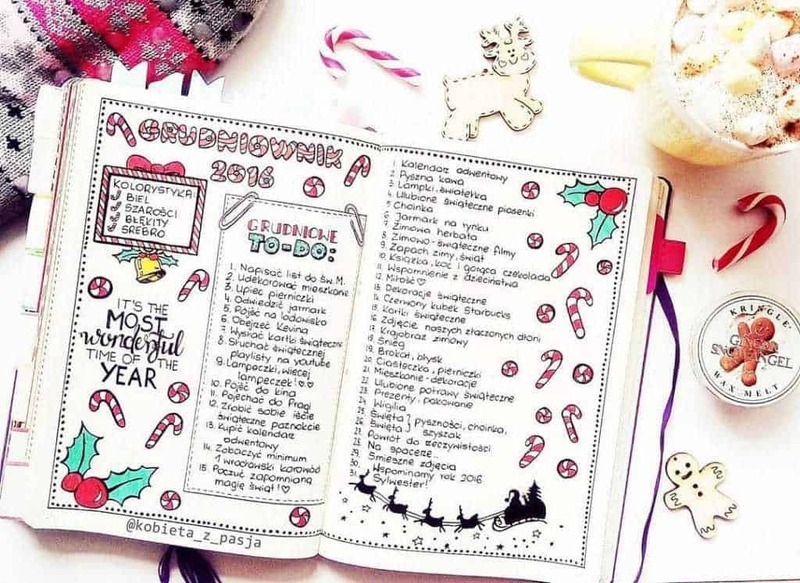 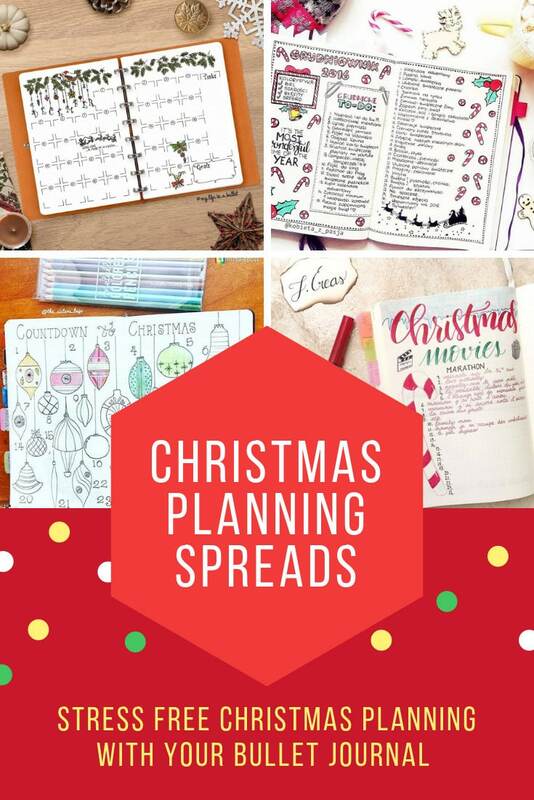 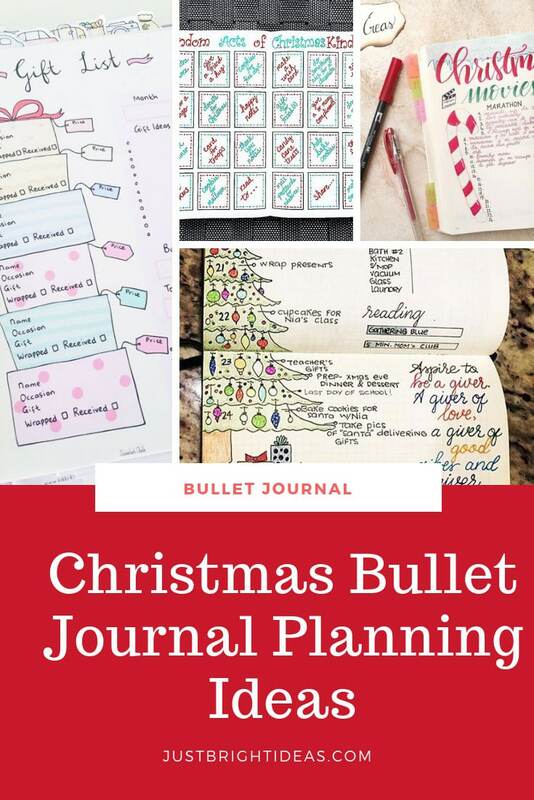 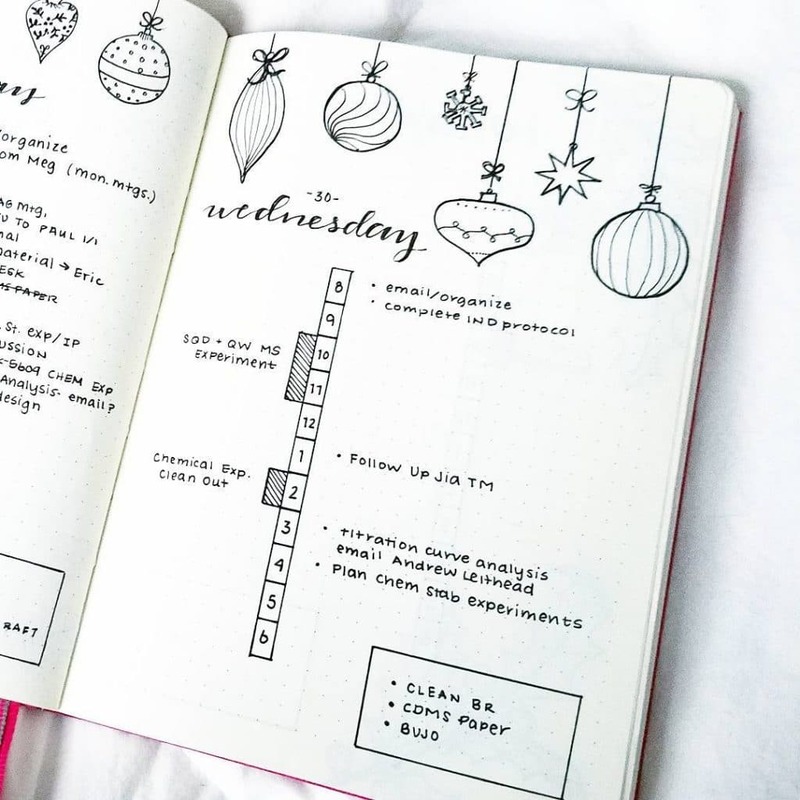 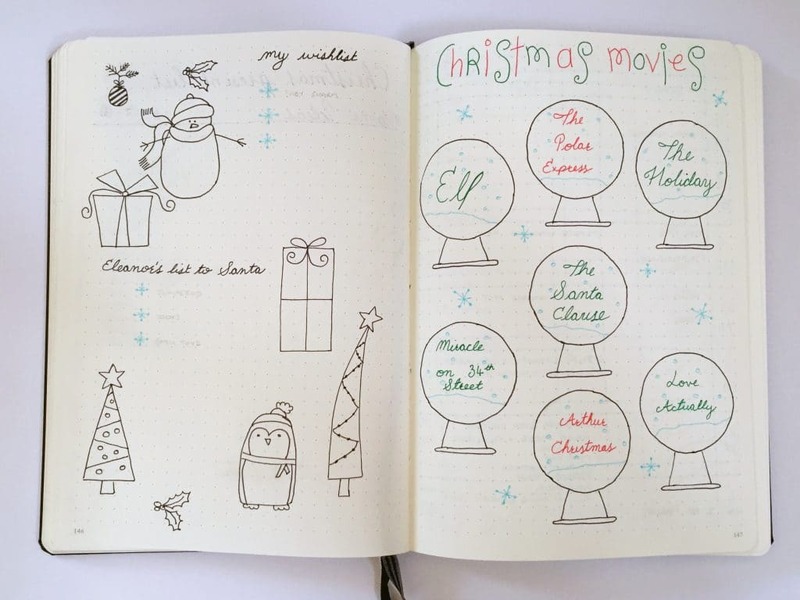 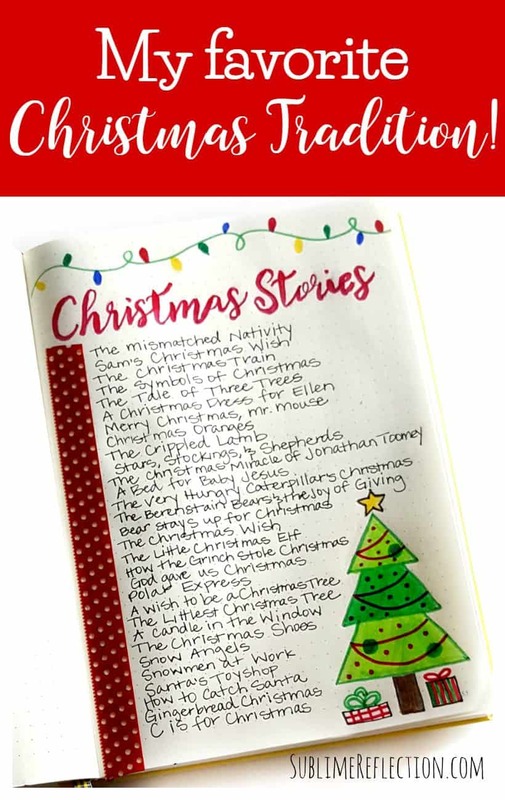 If the thought of Christmas stresses you out you’re going to love these Christmas Bullet Journal ideas to put you in a state of planning zen this December! 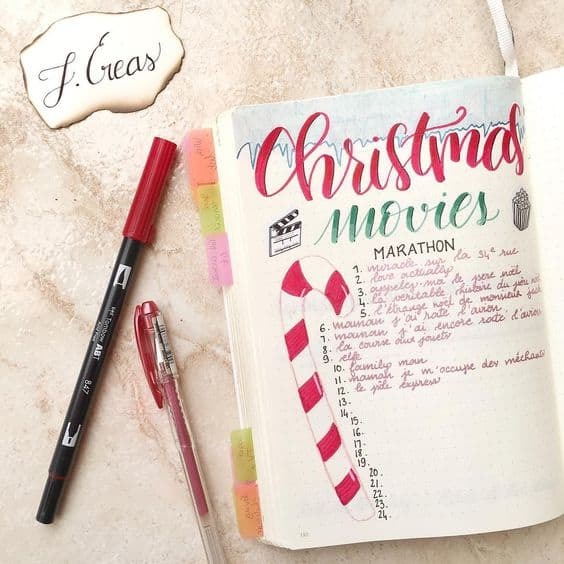 There’s no escaping it… Christmas is coming! 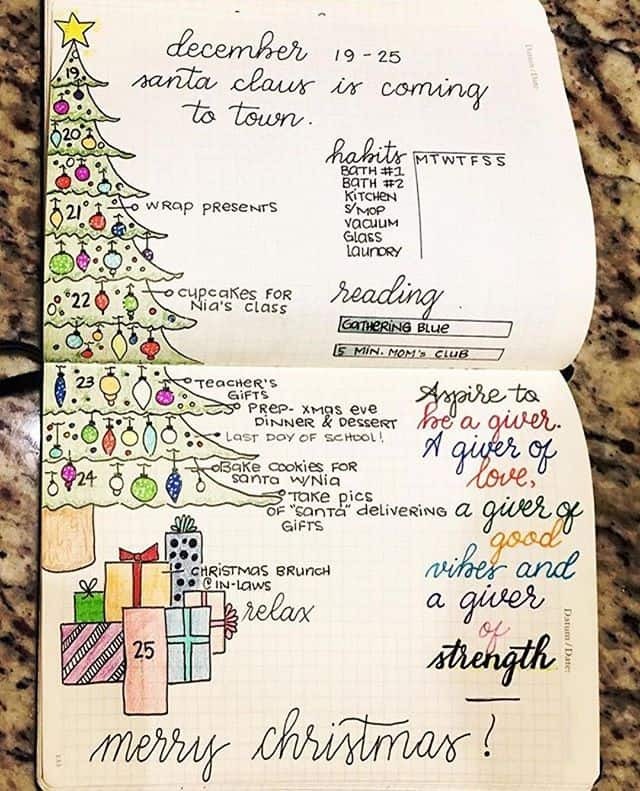 Even if Christmas is your favorite Holiday of the year it can still be stressful, which is why I thought I’d get us a head start on the planning this year and pull together some fabulously merry Christmas bullet journal ideas, because I know how much you all love a creative Bullet Journal Tracker spread or three! 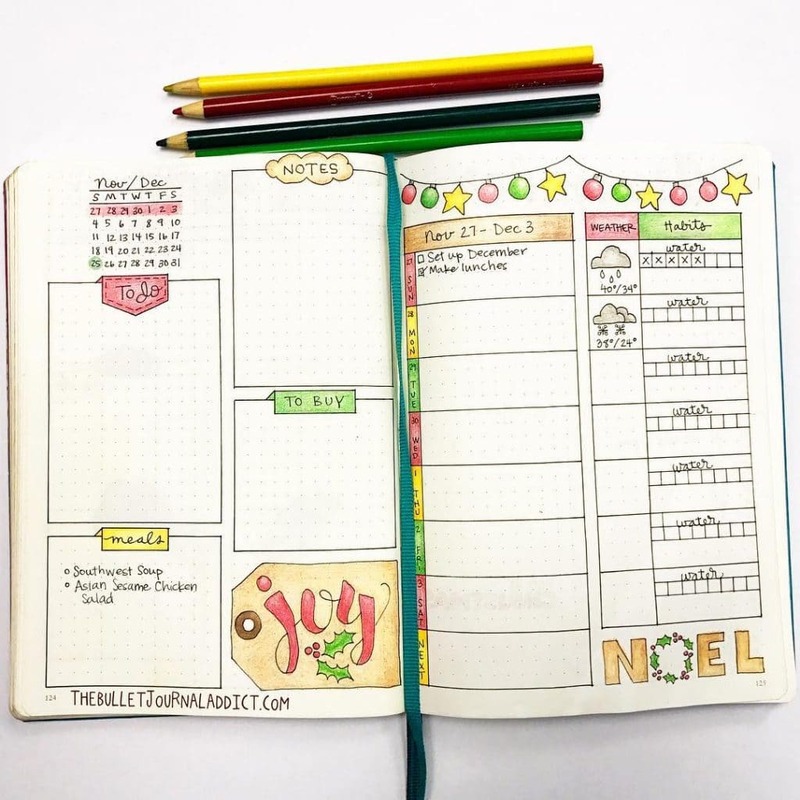 From Santa themed weekly spreads to the all important gift list and cookie making trackers you’ll want to make sure you leave room in your Bullet Journal to put some of these to good use! 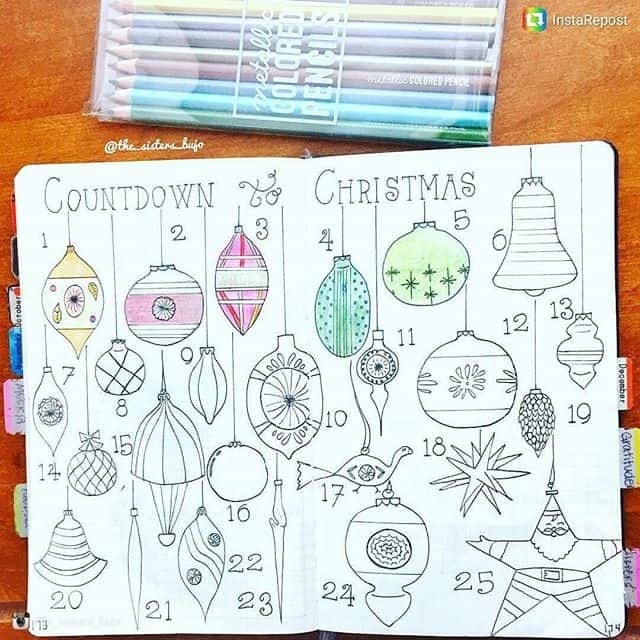 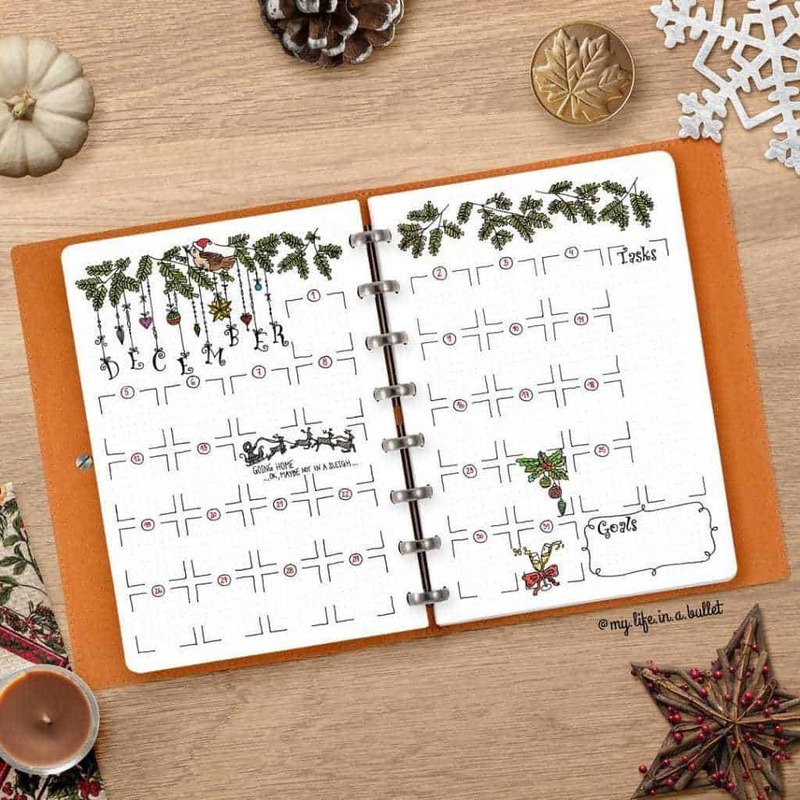 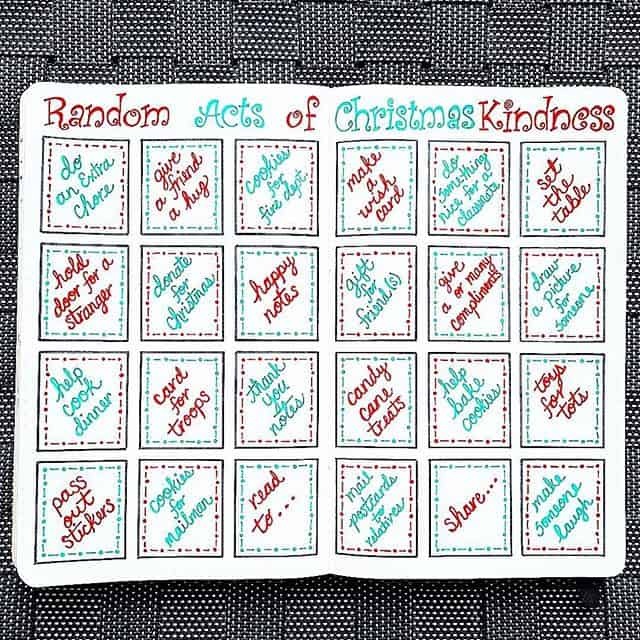 Or make an advent calendar right there in your Bullet Journal so you can countdown to Christmas! 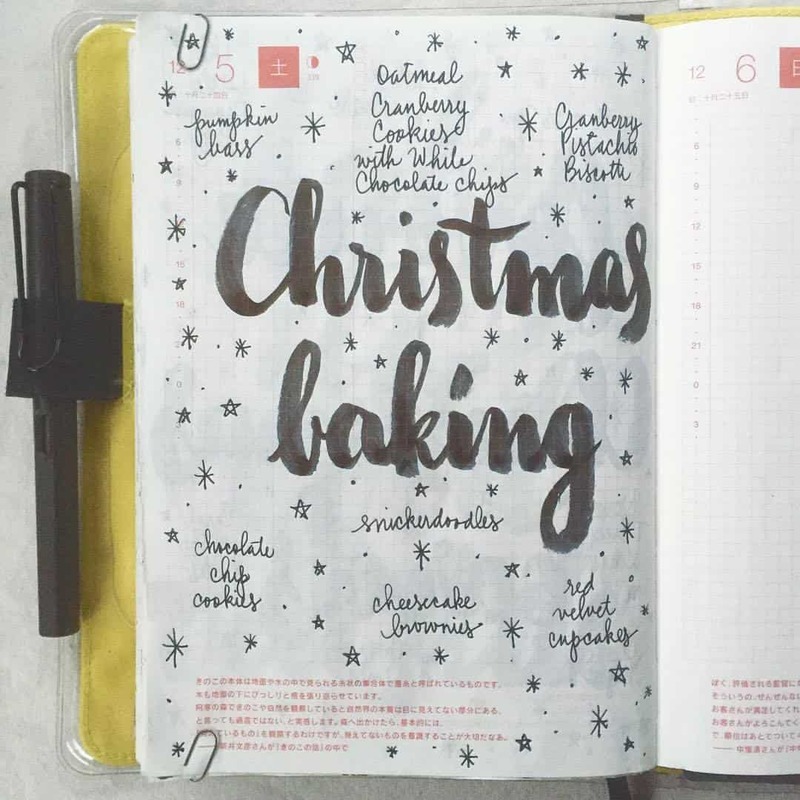 Plan out your Christmas baking list for all those yummy cookies! 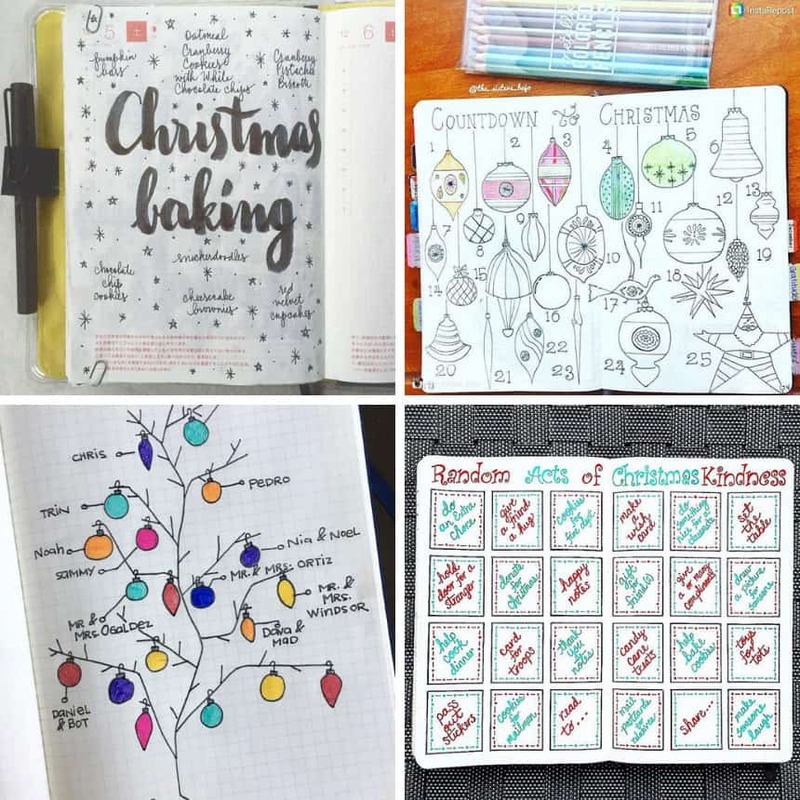 Check out our collection of Holiday cookie recipes if you need some new ideas! 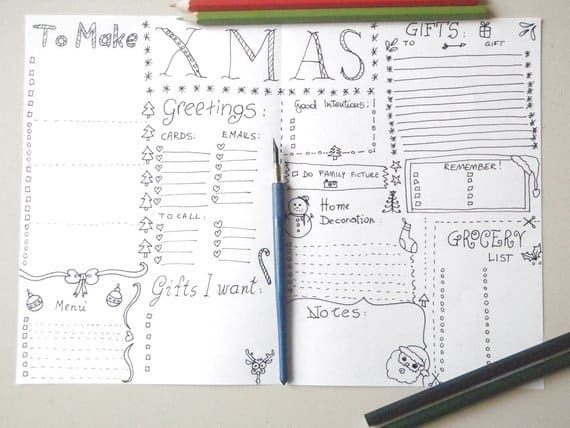 Check out our traditional Christmas dinner menu if you need some inspiration! 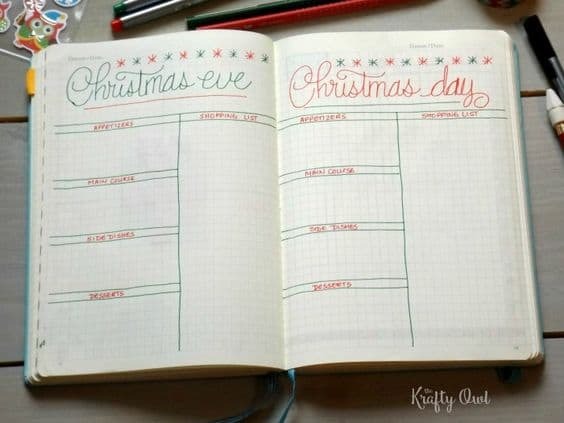 Or a spread for your family’s favorite Christmas movies! 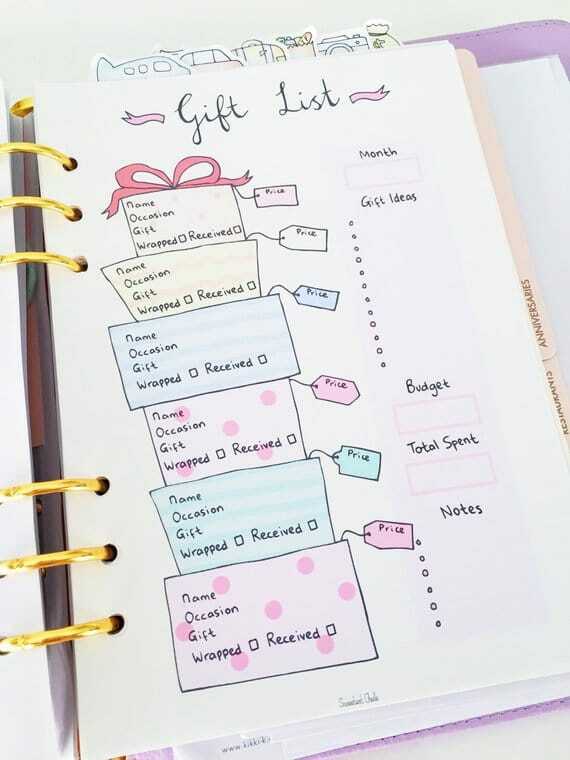 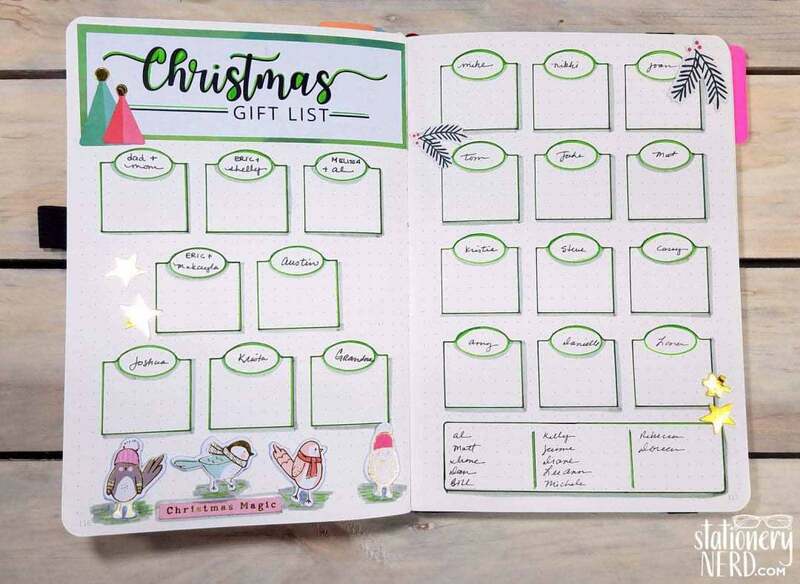 Speaking of Bullet Journal printables here’s a cute gift list spread! 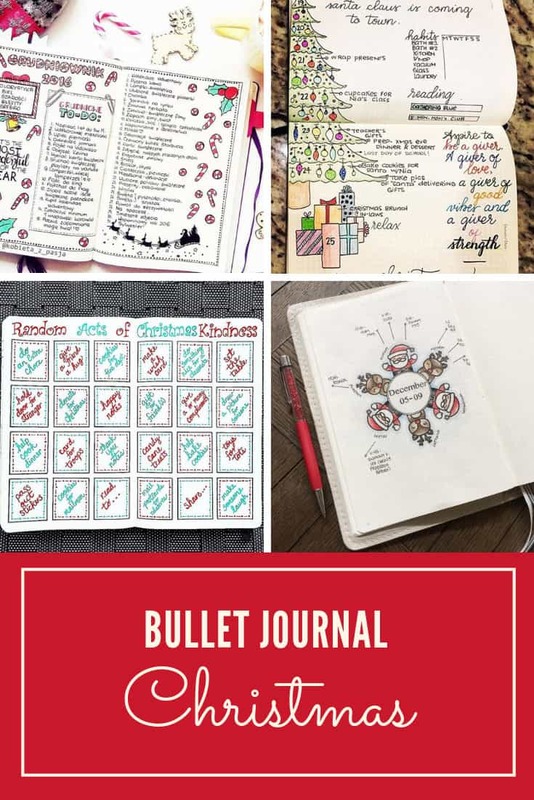 We have a whole collection of Bullet Journal printables for you if they’re your thing!